Instagram TV - 20 Frequently Asked Questions answered by Bear Jam. - Instagram TV – We answer your questions. Recently, Instagram announced the launch of an exciting new feature: IGTV! Instagram TV is a new app for watching long-form, vertical video. For most users, each video can be up to an ten minutes long while larger accounts and verified accounts can upload videos up to 60 minutes long. Though the initial buzz around the announcement has died down, clients and friends alike continue to ask us what Instagram TV is exactly and how they can get started using it. Below, we’ve shared 20 FAQ as well as a few pro tips for you if you plan to incorporate it into your video marketing strategy (and we think you should!). Who can have an IGTV channel? Anyone with an Instagram account can have an IGTV channel. It doesn’t matter how many followers you have or whether your Instagram profile is Private or Public. Can you create an IGTV channel that is not linked to an Instagram account? No. You must have an Instagram account to create an IGTV channel and each Instagram account is limited to one IGTV channel. Can you manage more than one IGTV channel at a time? Yes. Just as you can manage more than one Instagram profile and switch between accounts without logging out of any of them, you can manage and easily switch between IGTV channels. If your Instagram profile is Private, will your IGTV channel be Private? Yes. Only your followers are able to see your IGTV channel. Just like a normal Instagram post in your feed, if someone sends your IGTV video to someone who is not a follower, they will not be able to view it (without first becoming your follower). However, if you include a hashtag in the description of your IGTV video, that video will show up in the search results when someone searches for that hashtag on Instagram. How do you create an IGTV channel? There are two quick and easy ways to create your IGTV channel. You can download the new IGTV app and, assuming you are already logged into your Instagram account, be prompted to open an IGTV channel connected to it. The second way you can create your IGTV channel is by opening your Instagram app and clicking the TV widgit just to the right of the word “Instagram” at the top of your newsfeed. How do you add a video to your IGTV channel? From the IGTV app, first click on your profile picture then click on the + sign. Your phone’s video library from which you can select a video will appear. After choosing one and clicking Next, you will be prompted to change the video cover image (or you can leave it as-is), add a title and description, and choose to make the video visible on your connected Facebook page before posting. 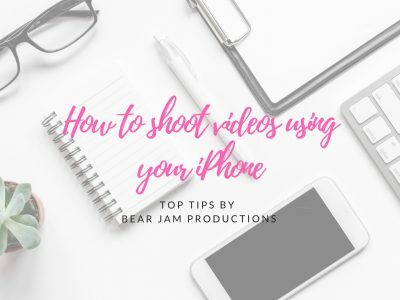 Can you film a live IGTV video for your channel? No. Currently, you can only upload pre-recorded video to your IGTV channel. What are the recommended aspect ratios and file sizes for IGTV videos? Can you upload video filmed in landscape mode (aka horizontal)? Yes, but keep in mind that because IGTV features vertical video, the sides of your landscape video will be cut off. Can you upload a video to your IGTV channel from your desktop? Yes. When you’re logged into your Instagram account on your desktop, go to your profile and, just above your most recent Instagram newsfeed posts, you will see “Posts”, “IGTV”, and “Saved”. Click on “IGTV” to be taken to your IGTV channel. Here, you will see the videos you’ve already uploaded and an “Upload” button. Click it and the upload process is just like uploading video in the app. Do keep in mind that even when you upload video from your desktop, all IGTV videos are vertical videos. Can you edit your video within IGTV? No. All video editing should be done prior to uploading your video to IGTV. Additionally, once you have uploaded a video to IGTV, you are not able to go back and edit the title or description. Can you add filters, emojis, captions, or tag locations and people within IGTV videos? No and yes – Let us explain. While you cannot add filters, emojis, captions, or tag locations in the IGTV video the same way you can in your Instagram Stories videos, you can use hashtags and tag Instagram accounts when you’re writing the description for your video. Additionally, you can include hyperlinks in the description of your IGTV videos – This is a huge development for brands with engaged users as you can now include easy to follow calls to action. If you plan to tag another account in the description, be sure you know it exactly as you will not be prompted with options as you’re typing it out. How can people engage with your IGTV channel? Viewers of your IGTV videos can Heart and Comment on your IGTV videos just like your Instagram newsfeed posts; you will receive a notification in the Instagram app just as you would for Hearts and Comments on your Instagram newsfeed posts whenever someone engages with your IGTV video. People can also share your IGTV videos via direct messages to others. Yes, you have access to the following engagement metrics: Views, Likes, Comments, and Audience Retention. (Why do these matter?) Unlike Instagram Stories, you cannot see the names of people who watched your IGTV videos. If you have a private Instagram account, do you still get access to IGTV analytics? Yes, you receive the same analytics Public IGTV channels receive. How do people find IGTV channels to follow? When you log into your IGTV account, you will automatically land on feed called “For You” which includes IGTV videos from accounts you follow on Instagram that Instagram thinks you’ll like. You can also swipe to the following IGTV feeds: “Following” (those Instagram accounts you’re following listed in chronological order from most recently uploaded to older), “Popular” (those Public Instagram accounts that have high engagement rates), and “Continue Watching” (those videos you started but didn’t finish watching). In each section, you can scroll through the video preview cards to select which video you want to watch. Another way people find IGTV channels to watch and follow is through Search. Just above the list of IGTV feed sections is a Search bar which can be used to search for channels by account name. Currently, only IGTV channel accounts appear in the search results as opposed to being able to search via hashtags or locations. If you plan to make IGTV an integral part of your marketing strategy, be sure your Instagram name includes the word or words you want to be associated with so that your account shows up in search results. Can people hide IGTV videos if they don’t want to see them? Can you organize your IGTV videos by topic or theme? Unfortunately, at this point you cannot. Your videos appear on your IGTV channel in sequential order, from newest to oldest. Do your IGTV videos ever expire? No. Unlike Instagram Stories, IGTV videos remain on your channel unless they are deleted. Can you delete your IGTV video? If you’re creating an IGTV channel, check out the Instagram TV videos we’ve already shared, tell us how you plan to use it, and let us know what questions you have! If you need help with your Instagram content strategy and don’t know where to start. Get in touch with us here. Previous Post (p)	Need a video content agency?